Expand your Lowrider collection today with new stock from Benny’s Original Motor Works as part of GTA Online Lowriders: Custom Classics for PS4, Xbox One and PC. Check out two more upgradeable muscle cars, the Vapid Slamvan and the brand new Dundreary Virgo Classic. And if that's not enough, Benny is revisiting one of his favorite rides, the Willard Faction, to offer a new upgrade style that will have you towering over others in your very own Custom Donk. 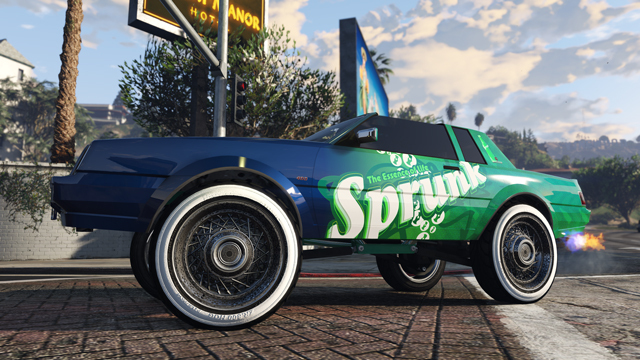 Tower over the residents of Los Santos in your very own Custom Donk. Whether rapid fire or stopping power is your preference, you’ll find new weapons to suit your needs down at Ammu-Nation. The Compact Rifle provides a new option for running-and-gunning and with the Double Barrel Shotgun, twice the barrels means twice the carnage. The Compact Rifle, one of two new weapons available at Ammu-Nation. Update your wardrobe with a host of new clothing options that will have you looking fresh at your next car meet. From lowrider street apparel to workwear, there are plenty of new looks to try out. 16 new tattoo designs are also available at parlors across Los Santos, or try one of three fresh new hairstyles for each gender to keep up with the latest trends. The Slamvan Custom bounces at the Del Perro Pier. 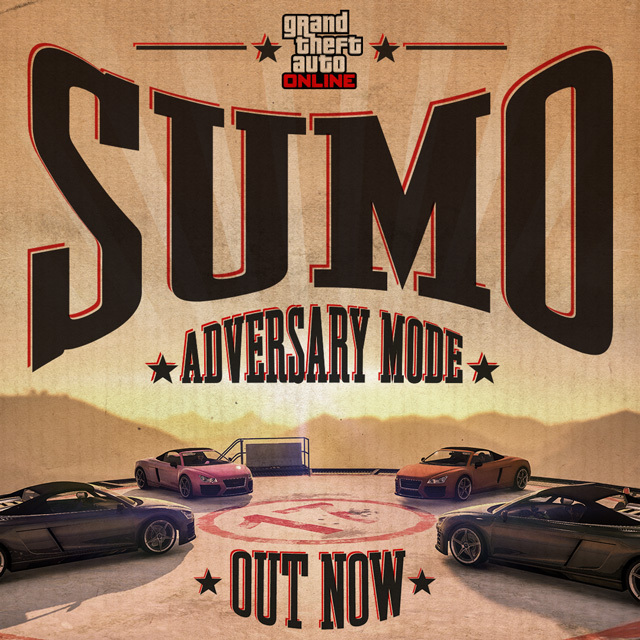 Smash, bash, and dodge the competition in the new Sumo Adversary Mode that has you working (either alone or in teams) to force the opposition out of the designated arena. Whether it's size, speed, or control - choose a vehicle that suits your style and be the last team remaining in the arena before the clock runs out to win. 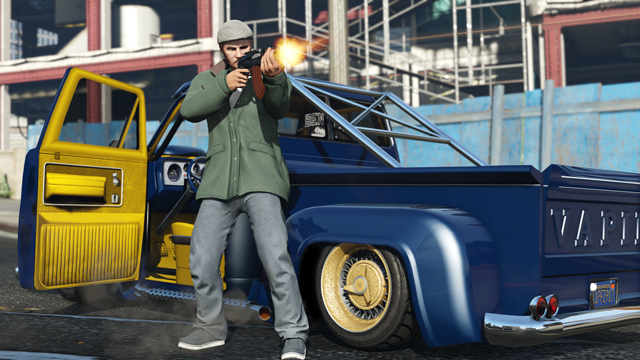 GTAO Lowriders: Custom Classics Now Available - Three more vehicles can now be modded at Benny's plus the new Sumo Adversary Mode.